The Macmillan Children's Dictionary is a photographic picture dictionary, ideal for use alongside any children's course. Contains over 800 words arranged by topic. Clear, vibrant photographs make learning vocabulary easy and exciting. Graded reading and writing activities develop word-building skills and allow flexibility according to age or level. Mr. Smile introduces oral activities to provide practice in vital communication skills. A full wordlist gives easy access to all items included. Includes both British and American vocabulary and spellings for use in any classroom with any syllabus. 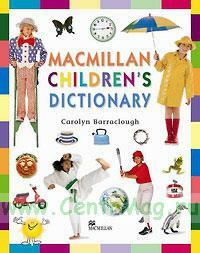 Includes an introduction for teachers and parents on how to use the Macmillan Children's Dictionary.